So yesterday had its ups and downs. 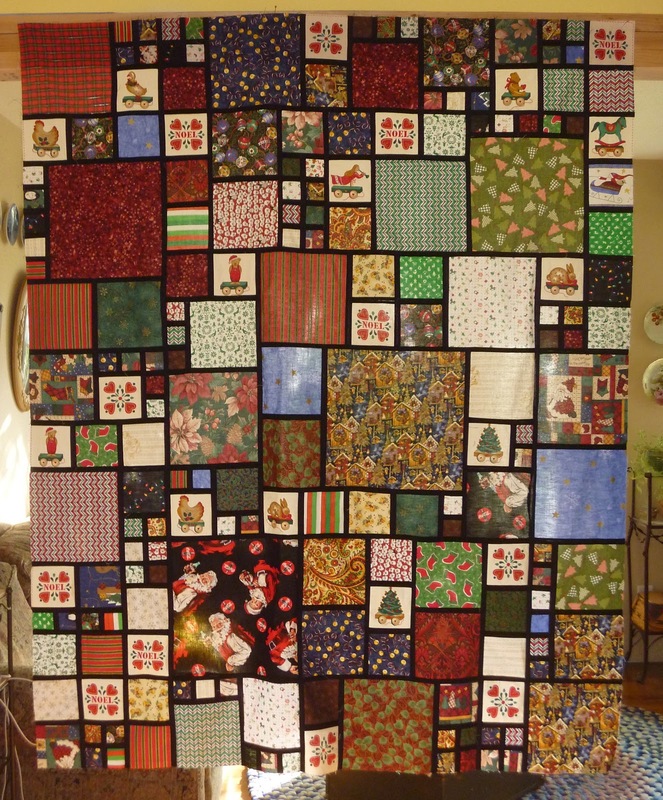 One up is that I finished the 4th Christmas quilt top. I even got a little done on #5. Maybe that will get finished today. Once that was done I created hanging sleeves for the three quilts heading to the quilt show on Thursday. Now they just need to be sewn on. I also spent some time outside and got all my berries weeded. The garden is looking good for fall, in fact, it is looking better than it has in years! I am hoping to keep it roto-tilled over the winter as weather permits. Yes, 2 of the 3 plumbing components under the sink run into not only the back wall of the cabinet, but the drawers themselves! Very disheartening. We headed back to Home Depot to see if there were any options out there. The answer was no, unfortunately. You can't order a cabinet that is a mirror image (which would work) and they didn't have a 48" option. The two guys helping us did give Hubby some ideas for adjustments. We made a stop at Lowe's before heading home just to see if they had anything different. They did have a 48" option but because bathroom vanities/sinks are now a couple of inches deeper than they were 20 years ago that would cause problems with the door trim and would make the bathroom even more crowded feeling than it is currently. After sleeping on it, Hubby has come up with some fresh ideas that might work for adjusting the 36" cabinet so we will see what comes of that today. Sad. I know exactly how you feel.